Kiplinger is teaming up with the National Association of Personal Financial Advisors (NAPFA), whose planners will answer questions on holiday money concerns, year-end tax planning and more. Submit your questions here and get free personalized financial advice on Thursday, December 10, from 9 a.m. to 5 p.m. ET. I agree with Summitt, and try to keep an allocation, though I think those stocks also have exposure to commodities that I prefer to gain in other ways. Keeping an allocation to perhaps for a percent or three I think is certainly appropriate. George. Emerging markets are not necessary in my opinion. Old guys like us need to think a little more conservatively and I only use developed market funds and that's what I usually recommend for my retired clients. 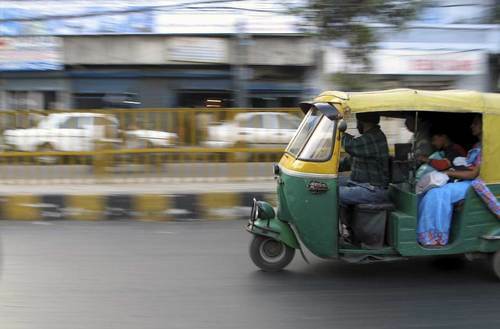 Emerging market funds are volatile and volatility is exciting but I can think of better ways to get excited. www.kiplinger.comAll the investing gurus, it seems, are riffing about 'submerging markets'. But when everyone agrees on something, chances are high that the crowd is wrong. Please clarify the rules for RMD's. I think the requirement is to start when I turn 70 1/2? If I were to become 70 1/2 in, say, next March, would I need to do an RMD in 2016, or could I wait until 2017? I don't want to take two RMD's in the same year. Charles, April 1 of the year following the calendar year in which you reach age 70½. For your first RMD you have until April of the following year, so if you turn 70.5 in March 2016 you could wait to take your first withdrawal until early 2017. The problem is you will have to take your 2nd RMD in 2017 as well, which would mean 2 withdrawals in the same year. Like you, most people try to avoid taht. Charles, you could wait until April 1 of 2017 but you will need to take two RMD's in 2017. Take your first one in 2016 if you want to avoid that. www.kiplinger.comThe rules for required minimum distributions from your retirement savings plans are complicated. Making one or more of these errors could cost you a bundle. I am an American living abroad. I own my home in the US and rent it out, and will have a primary residence in another country in 2016. Are there resources / advice for how my Federal tax reporting will change from having a US primary residence to having a US rental property? I still have US citizenship, and am in the other country legally on a long-term visa. Along the same lines, any resources / advice for the impacts of buying a primary residence outside of the US? Minimum IRA Distribution Calculator: What Is My Minimum Required IRA Distribution? www.kiplinger.comThis calculator makes it easy to compute your mandatory minimum distributions from a traditional IRA. Hi Alex, 1) yes, there are rules about changing a US residence to a rental - check with your tax advisor on these. As for buying a residence outside the US, there is much to consider. Let me share briefly what we did with one client who purchased in Panama - this family was unable to get umbrella liability due to the 'energy' their sons exhibited around damage to property, etc. So when the client agreed that the sons would indeed be invited to the Panama home and invite their similar friends, we put the home in a US corporation after evaluating whether to put it in a foreign corporation. We did this for a few reasons and you'll likely have your own reasons for properly titling any property you buy outside the US. See a real estate attorney versed in international properties for this. Question about QLAC products. Got a lot in my IRA and would like to mitigate future tax issues. I see how QLAC cuts taxes by deferring income, but I'm concerned about the apparent rate of return. Am I missing something with regard to the returns on those products? Alex, I would certainly find an accountant to help with your situation. The rental doesn’t sound like too much of an issue, and IRS.gov has publications that I am sure would be useful. The London mayor found the IRS knocking on his door for gains on real estate as a dual citizen abroad, I would give this to a professional to help with. Charles, QLACs require some analysis with each situation. And as with any annuity, you buy the contract not the conversation with the agent. The actuarial bet is knowing some will die without receiving benefits. Sometimes it makes more sense to simply stay invested and forgo this version of annuity. I would pair your advisor with an annuity expert (many of us team like this) and get your situation analyzed and answered. Charles, Bonnie and I actually attended a presentation on QLAC' s yesterday and they can help defer some RMD distributions up to a point. The best advice I can give you is that there are a lot of things to consider. I think your best bet would be to spend some time with a fee only advisor before you make this big irreversible decision. Charles - here is one of our industry experts thinks about QLACs. 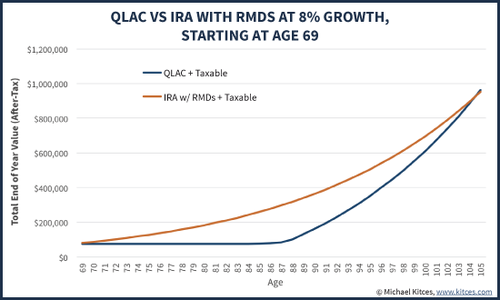 Money quote: Buying a QLAC to avoid RMDs requires living past age 100 just to beat an IRA growing at 8%! 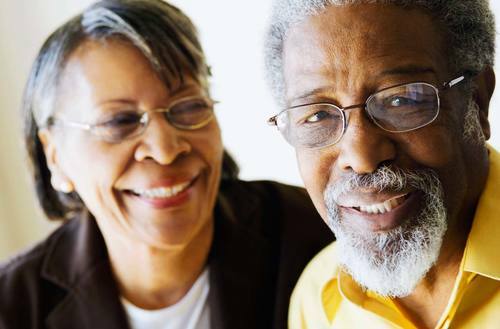 I have heard that there are changes coming to remove the chance to sign up for social security, then suspend, but in the meantime allow your spouse to obtain spousal benefits. If one takes this approach, does this impact the spouse's ability to switch to his/her own benefits at a later date (when higher) and how does one do this in correct order so as not to derail the first older spouse's plan to defer until age 70? Kitces.comA QLAC may hedge against living too long, but its relatively low implied returns means it's a poor way to defer RMD obligations for a diversified portfolio! The new rules have gotten rid of the file and suspend option, whereby one spouse files for benefits and immediately suspends allowing the other spouse to collect spousal benefits on their record. Individuals have until April 29, 2016 to still utilize this technique. Hi Gail, we answered this earlier in our chat this morning if you have the time to scroll through but first, see if the change applies to you - Social Security is closing a loophole that applies to a relatively narrow demographic. I think Kiplinger's had some terrific links that quickly show if you'd fit the profile affected by the change. I will say if this was part of your planning, get a new report on claiming strategies from your advisor since this will no longer be available 180 days after it's signed into law. The rules also got rid of the ability for individuals to file a "restricted application", whereby an individual usually files for their spousal benefits only, allowing their own benefit to continue to grow. People over age 62 as of 12/31/2015 will still have this option. After that it will be gone. A big thank you to the advisers who were on hand to answer questions this morning. If you'd like to follow up, you can find them at their websites: Danielle Seurkamp (http://taaginc.com/), Bonnie Sewell (http://www.americancapitalplanning.com/), Robert Schmansky (http://www.clear.financial/, Frank Boucher (http://www.boucherplanning.com/) and Mark Coffey (https://www.summitfin.com/). 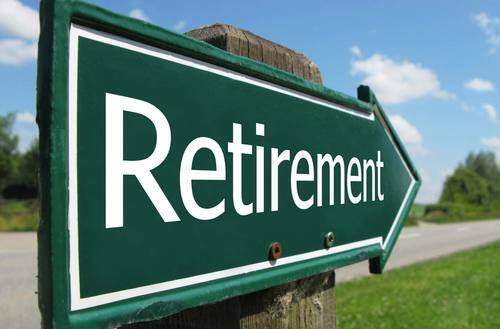 The end of 2015 is unusual for me (65) and my husband (69) because we have unexpectedly realized a large long term capital gain of about $100,000 (after taxes) while also learning that beginning in 2016 his salary is being reduced by 20%. We have decided to downsize by selling our house early next year (our property taxes are extremely high.) Two questions: 1. Should we try to prepay the first quarter of our property taxes before the end of 2015, and 2. Is it advisable for us to rent for the 4 years that we are planning to work? We haven't decided where we will retire, but plan to retire in 4 years. Joining us for the next few hours are Michael Gibney, Michelle Mabry, David Strege, Timothy LaPean and Ed Leach. Lee, accelerating allowed deductions into an unusually high income tax year can make sense. Visit with your tax preparer before year end to verify that pre-paying property taxes or making additional charitable contributions makes sense in your situation. Renting during a transition may make sense. 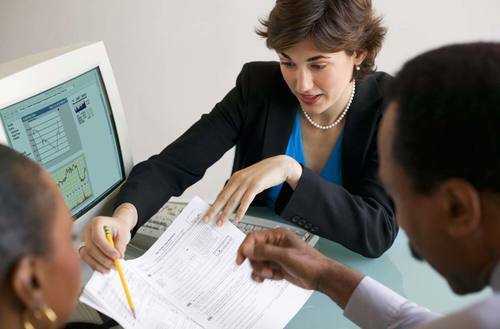 Not enough is known about your complete situation to determine a recommended approach for you. Hi Lee. I can answer number two. We usually advise someone to rent in an area before they buy, especially if you are unsure where you will retire. Additionally, the old adage of "it is better to buy than to rent" has changed. So, even when you do decide to move, do a thorough cost/benefit analysis on buying vs. renting. Lee, that sounds like a lot of change. If you are not sure you will stay where you are now for more than 4 years, that would usually indicate it would be better to rent. As for pushing some of the property taxes in to this tax year, I would check with your tax professional to see what impact it might have. My suspicion is that it may help but it might only be a small effect in many cases. I am considering converting part of a traditional IRA to a Roth IRA. To be taxed in 2015 do I have to convert by December 31, 2015 or do I have until April 15, 2016 to make the conversion (and taxed in 2015)? 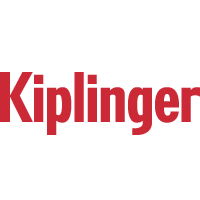 www.kiplinger.comYou can convert anytime, regardless of your age or income. JJ - Or possibly a few days sooner, if your IRA custodian needs time to implement the transaction. JJ - You will need to make the conversion prior to 12/31. Conversions can be tricky and require proper tax reporting so make sure you consult with your accountant prior to taking action. Hello, I'm a teacher looking for some advice on eliminating debt. Undergrad & grad school loans have piled up, on top of mortgage & car payment. Any advice would be very helpful. Thank you. Ryan - The best advice is to look at the loan with the highest rate and pay that first or direct more money towards that one. Also remember, you get a potential deduction for mortgage interest, but not a car loan. www.kiplinger.comFocus on wiping out credit-card and consumer debt first. Check into the Public Service Loan Forgiveness Program for your federal student loans (private student loans won't qualify) if you haven't already. Usually you make 10 years of income based payments an the rest is forgiven. To some extent, the lower your current and future salaries are the, more appealing this program is. My question is regarding a money market acct Ive lost $17,000 in the past year. From $137,000 to $120,00. I was invested in Pimco and MLP steelpath. I lost my job last year and having trouble finding employment. I was planning to live off the dividends from MM but its adown to where I started 6 yrs ago. What do you suggest regarding future investments? Should I put into CD? ). If you have not already start tracking your monthly income and expenses - more often than not the secret behind getting out from under your debt is understanding your cash flow. Remember - Income should always be greater than your expenses. Ryan - As for mortgage and car debt. Brainstorm a big list of ways in which you theoretically could downsize or reduce spending. Usually housing and transportation are the largest expenses. Could you ditch the current car and get a beater? Find a cheaper home, get a roommate, divide the house into a duplex, etc. Find a place to live where you could walk or use public transit instead of having a car. Whatever you can think of that is possible, no matter how complicated or unlikely. Then once you have the whole list, start going through it and seeing if any of those are things you might be willing to do and how big of an impact they would have on lowering your expenses (AKA increasing your freedom). See if any of those trade-offs feel worth it. Laura - There are two investments in your question: mutual funds that invest in certain securities that contain risk: bonds or equities or maybe even something a little more risky MLPs; and you also refer to a money market account, which does not invest in anything risky but remains uninvested in "cash". If you need to live off dividends, a money market or CDs may not help today because interest rates are so low. You need to be very mindful of the risks if you are going to invest in something other than a money market. I would seek the advice of a planner to set you on the right course. Laura, you were probably in mutual funds that were investing in either stocks or bonds. Money markets should not have declined in value like that. If you are going to need the cash in the next 12-18 months then you need to have it in bank accounts or money markets. If the money is going to be needed in 2-3 years then CDs or short-term bonds can work, but you are needing regular cash flow from the account. So you are likely needing a short-term bond mutual fund to provide monthly distributions to help with cash flow. Laura - Because of your current employment situation you will likely want to keep these funds as liquid as possible which means putting them in a risk free investment - a money market account. It all depends on your time horizon for these funds - if you don't foresee needing them in the next 12 months, maybe short-term CDs may work. Investments like MLPs, stocks, and bonds come with certain risks - so be mindful of them before investing. Hi - I am 60 and my wife is 61. We are no longer eligible for the Social Security File and Suspend strategy. Are there any investment options to replace the Social Security income loss of about 60K?